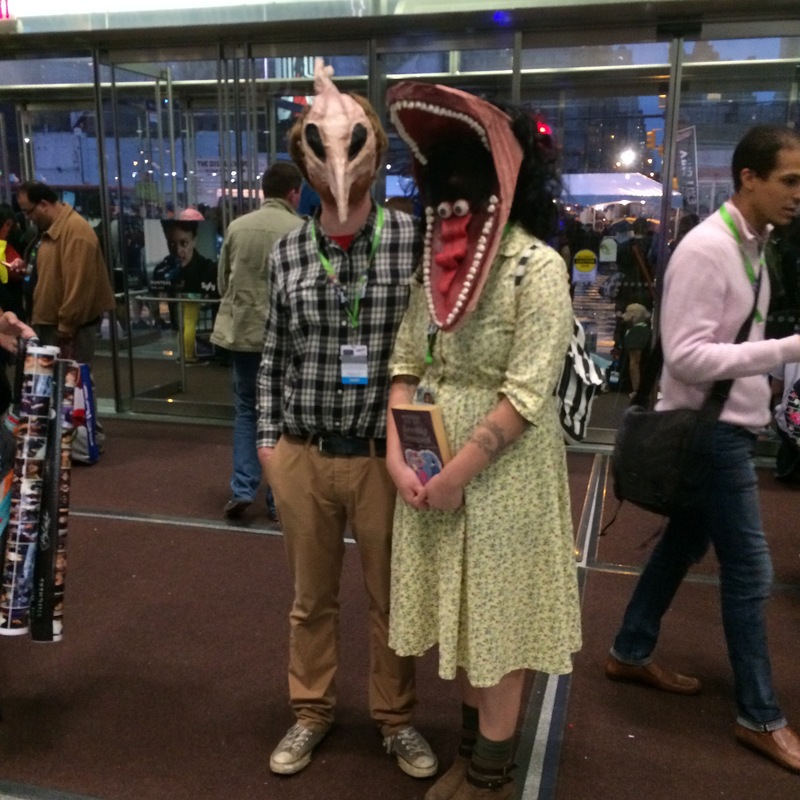 NYC Comic Con 2015 ReCap! 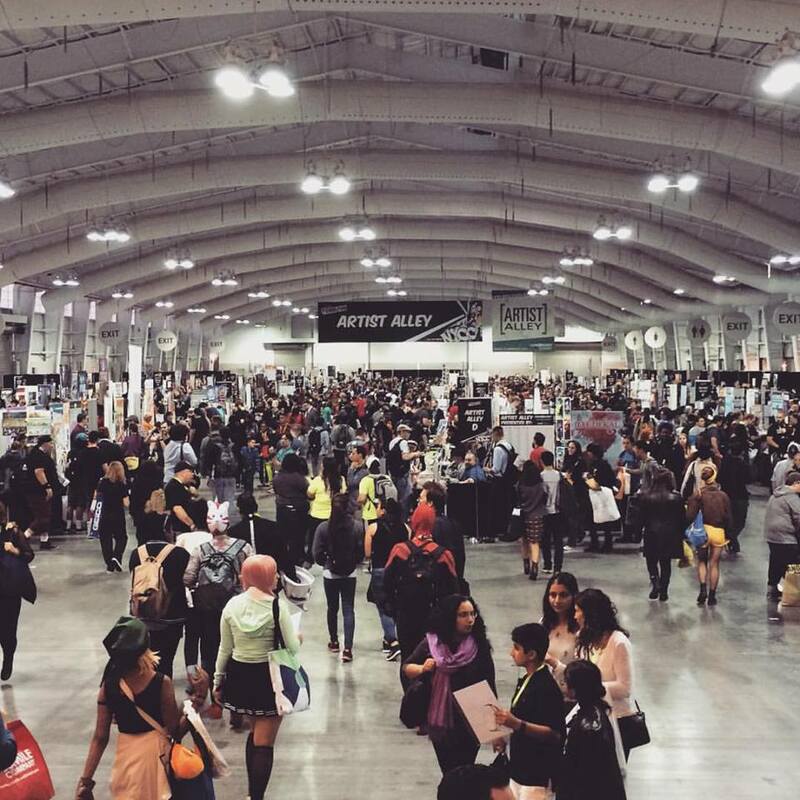 Earlier this month, the CatPrint Comic Con Team partook in our 5th annual visit to New York City Comic Con! We have gone on the five and a half hour trip every year to meet old and new comic art customers. 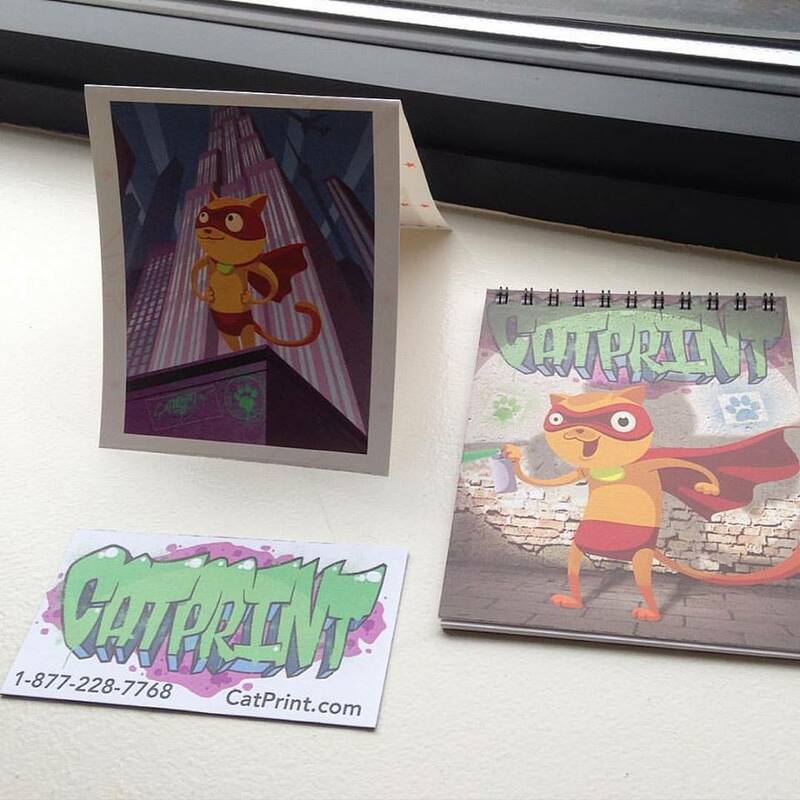 This year, the CatPrint Comic Con Team comprised of Production Lead, Nate and Customer Service Reps, Matt and Eileen. We left at 8am on Wednesday morning to begin our trip. On our drive down we stopped in Pennsylvania to fuel up at Moe’s Southwest Grill. There is an ongoing burrito shop debate amongst CatPrinters on which is better: Moe’s Southwest Grill or Chipotle Mexican Grill. While some compromises had to be made that day, we can all agree that burritos overall are awesome. After lunch we continued our trip to Union City, New Jersey. 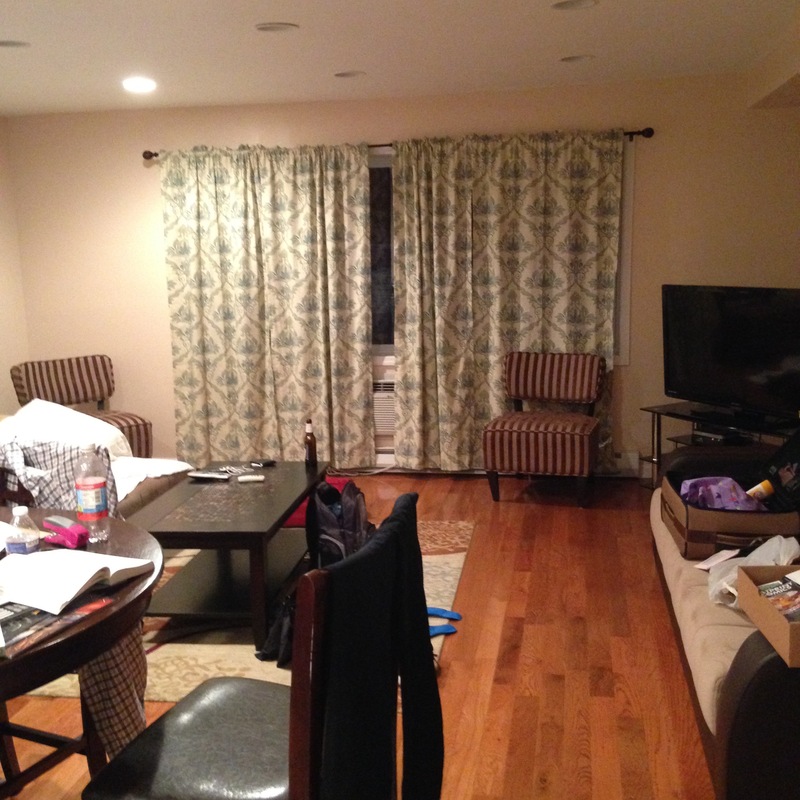 This is where we would be staying for the trip, which is about a 20 minute bus ride to Manhattan. We took a quick trip into the city to visit the famous Midtown Comics and Times Square H&M (a CatPrint favorite). Afterwards we called it an early night to get ready for a busy day on Thursday. 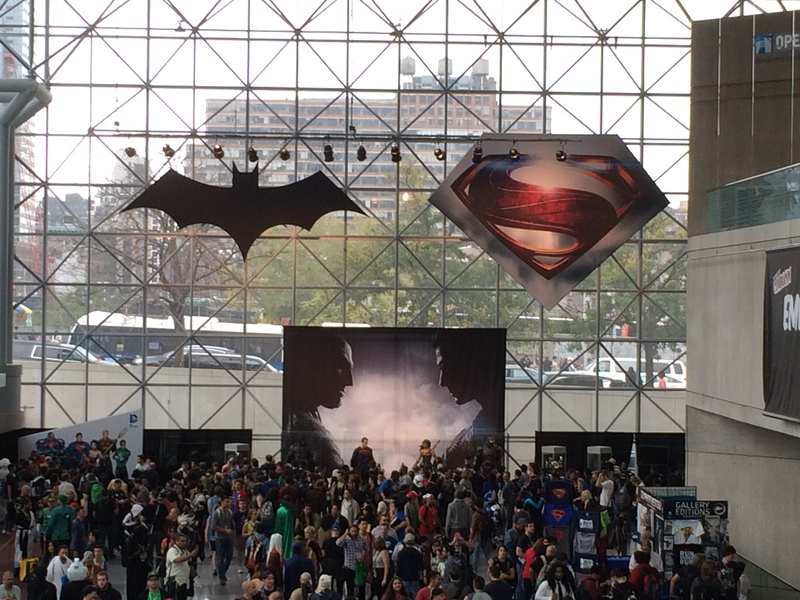 For anyone who hasn’t been to NYCC, it is a fascinating sight to see. Fans from all over come to bond over their love of fiction, costume design, and all things nerdy. Cosplaying is very popular: this is when fans dress up as their favorite fictional characters. We had a great time appreciating the work put into some outfits. Once at the convention, our first goal was to greet all of our current customers with goodie bags of snacks and CatPrint flare. Check out some of the swag we printed for our customers this year! Finding our current customers was no easy feat. We had to navigate the show room known as Artist Alley. This area is filled with up and coming artists of all backgrounds and styles. You can spend a whole day here alone admiring the talent. After greeting current customers we set off to find new artists to learn if they were familiar with CatPrint and our services. Our main goal of attending these events is to receive feedback on what services we offer work and what we need to improve on. It’s interesting to see how trends can vary year to year and this helps us determine our future offerings! After a long day circulating the Javits Center we headed to NYC’s Barcade in Manhattan to set up for our second annual customer appreciation event. 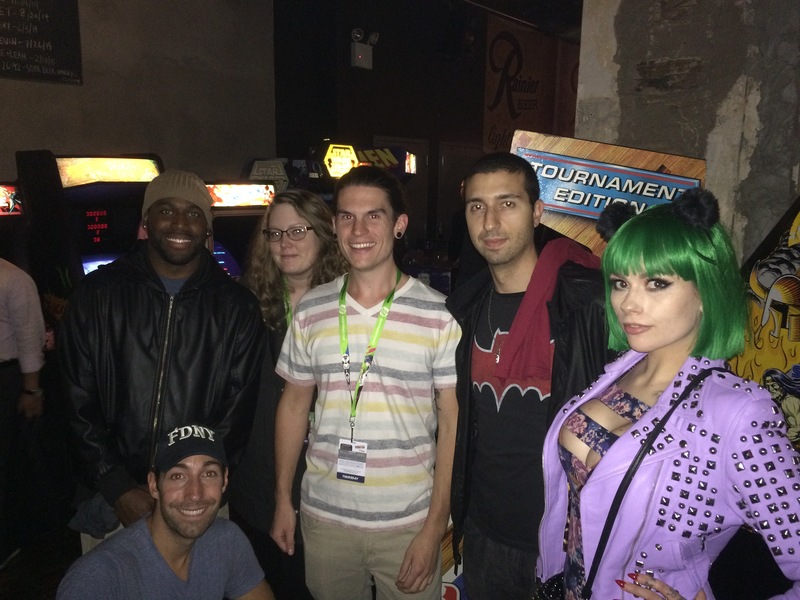 This is the fun part of our trip when we get to treat our customers with food, drinks, and vintage arcade games. Some of us CatPrinters learned that that classic arcade games are a lot harder than they seem! Our good friends Javier Winnik, Eugene Commodore, and the Gaunted Photography Team played like pros. Matt and Eileen with some of our customers! On Friday, we headed back to Manhattan once more to explore the Convention to see where our printing services may be useful. This also gave us the opportunity to meet some of our friends, like Clutter Magazine, on the Exhibition Floor! 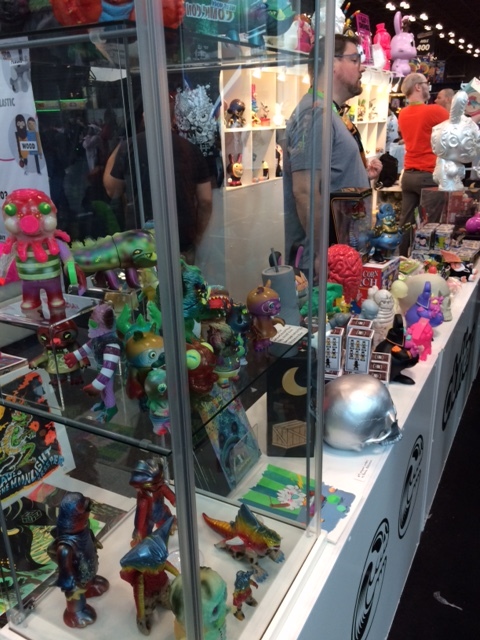 It is safe to say that we all took some time to stock up on designer toys, comics, and artwork. Look at how cool their merch is! When the day came to a close, we said goodbye to the great people we met, and the amazing show we had the privilege to experience. Nate and Eileen left New Jersey on Saturday with goals of coffee and more burritos in mind while Matt used the rest of his weekend to meet with friends in the area and explore Central Park for the first time. CatPrint makes this trip every year because we believe it is very important to create strong and lasting relationships with customers. We have found that there is no better way to do this than by meeting them in person! We love working with such talented people. Thank you again for all of the kindness and enthusiasm we received while attending the show and for making our job so fun! Is everyone ready for Batman v Superman? ← Gold Foil Printing is now offered by CatPrint!